The functionality of a dresser is incomparable. Dressers are loved for their functionality, they have the capability of holding a lot of things. Best place for a dresser is a living or dining room furniture.Dressers can complement style of the rooms and provide a lot of storage space. Apart from serving as a storage unit, dressers can also be used in the dining room for showcasing your valuable and exclusive crockery collection. Keeping things in the dresser will help to free some of the space of your kitchen. Using it as the living room furniture, you can show off your home accessories. Dressers can also be used as a photo display area. Dressers can be also used for bedroom purpose where it is used as a storage unit. If freespace is scarce,then you definitely need to consider a slim dresser. Choosing according to the décor of your house will provide additional elegance to your interior. It can serve as a great display to show off excellent and exclusive showpieces. Our dressers are an excellent example of hand carved work. Choosing the dresser is a complex task. You need to make sure to find one that suits you in size, style and finish. Being the most functional furniture in your house you need to pay attention to the material it is made of. At La Maison Chic we offer high end pieces made from oak and mahogany and more affordable ones made from pine and birch. La Maison Chic offers the vast range of dressers that suit every home décor. 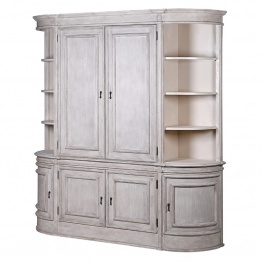 La Maison Chic offers dressers that can be used in any room of your home. 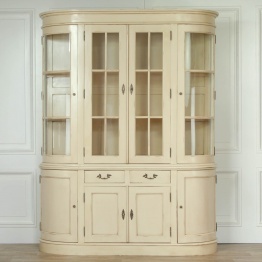 If you are in love with wooden furniture then what can be best than the wooden dresser. It can be decorated with carving or simply finished in symmetrical design.Most importantly it needs to serve as a large storage unit. Wooden Carved Dressers is an all-time favorite among the customers. Are you in love with the French interiors? Well, like the French interior, French dressers are an important part of classical style homes. 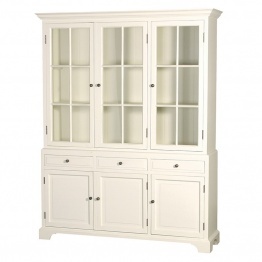 French dresser serves best when you need to show off style and functionality. 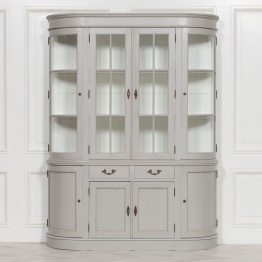 Choosing the French Chateau Dressers will show off traditional beauty with a touch of French design. Rococo Carved Dressers are just perfect for use in any room. Rococo Carved Dressers are one of the most praised designs of the dressers over years. If you need to industrial style dresser in metal finish then you surely need to have a look at the Industrial Style Metal Dressers. La Maison Chic offers a wide selection of painted dressers. 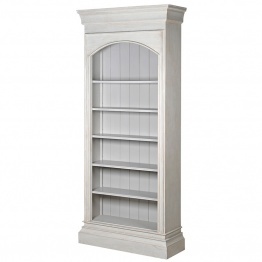 Our Rivau range offers soft cream, country grey and Noir black finishes.